As of now, the current temperature is 60, with winds coming from the ESE at 15-20 mph. In short, it is breezy but warm outside as of now. And it’s only expected to get warmer throughout the afternoon. 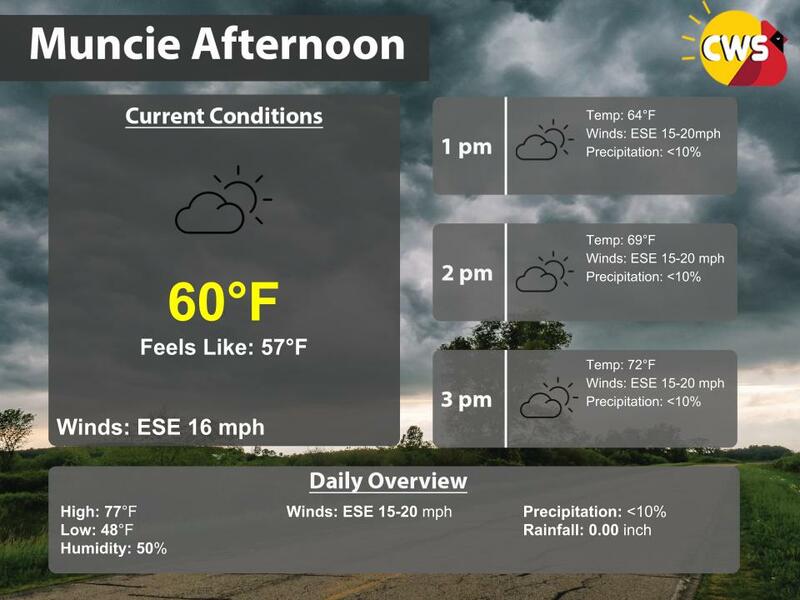 Temperatures are expected to continue rising throughout the afternoon, with our viewing area reaching the low- to mid-70s by the late-afternoon. While clouds will partly obscure the Sun, and we could see gusts exceeding 20 mph, ultimately we expect a nice afternoon.